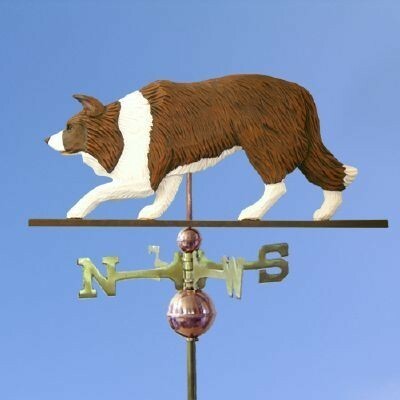 This beautiful custom wood carved weathervane is the majestic work of art by Master Woodcarver Michael Park. 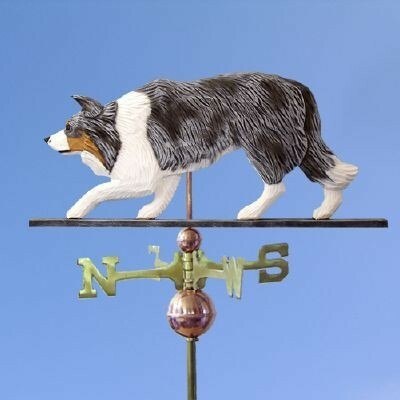 The personality, character and spirit of the dog breed has been accurately captured in each weathervane. 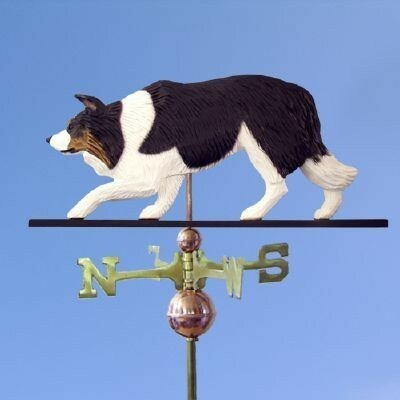 Weathervane is hand carved from Basswood, hand painted and sealed. A durable outdoor sealer is used to insure that the wood is protected and the vivid and vibrant colors last for years to come. 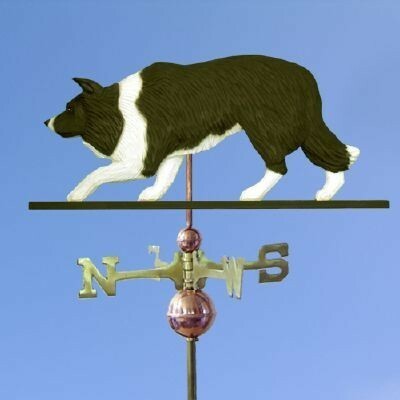 Copper spacer balls, rod, the directionals and ring are all included with your majestic Weathervane. Figure Dimensions: Approx. 30" L x 18" H. Add approx. 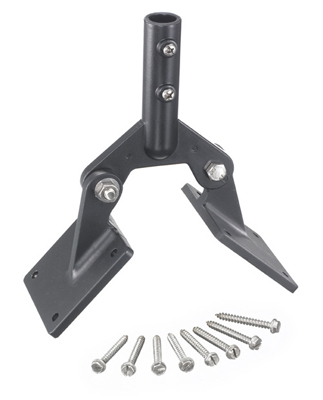 10" to dimension height for directionals and spacer balls. 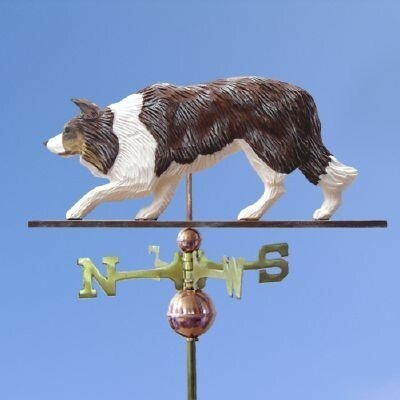 Custom wood carved - please allow 4-6 weeks for delivery.